A RegTech company needs to go beyond the buzz of a new technology and has to really help financial institutions, according to a panel at the Global RegTech Summit 2018. Blockchain, machine learning and AI technologies have been the big new entrants shaping financial services, but just using these solutions is not appetising for investors. 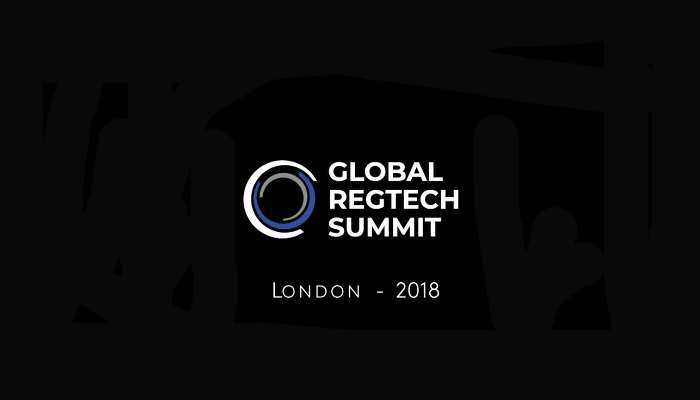 The panel at the Global RegTech Summit which included, senior staff from AngelsCube, RegTech Lab, QRC Group, Motive Partners and Dawn Capital, discussed the current trends in the RegTech market and what type of solutions in the space do they find the most exciting. While they all differed on opinion over the most exciting current trend, one area primed for debate was the implementation of technology like AI and blockchain. Evgenia Plotnikova, principal Dawn Capital, stressed the importance to step away from technology buzzwords as it is not the tool itself that is the important part, it’s whether the company can actually solve a real problem. She said, “Selling into a financial services has really long sales cycles and complicated procurement frameworks to get into, etc. So what you need to be doing is solving a real problem that looks beyond one rule or regulation. Once you nail that and you have a product there is actually demand for, then it starts to become interesting, whatever technology it is you’re ultimately using. “It has got to go beyond the buzz of a certain technology and it has to be about building real businesses that sell to real institutions,” she added. All implementation of technology into financial services comes down to an individual basis. For some the use of blockchain technology could improve efficiency and transparency of tasks, but for others it may not work due SMEs no having enough time to engage with the solutions to get them working. Counter to this line of thinking, QRC Group CEO Adam Vaziri said that blockchain technology is an integral part of the evolution of financial services. With this in mind, QRC’s focus is on companies that are developing these types of solutions and bringing the use of blockchain to the market mainstream. Giving consumers the power over their information is the underlining point of the future seen by Vaziri. Giving them the ability to decide who they share their information with, and allowing organisations access to it to complete their own onboarding, is the why blockchain is important. It can also offer a path to new RegTech solutions like zero knowledge verification. So what are the trends? Each of the panelists had different viewpoints on the current market and the most exciting developments currently happening. Automation, blockchain, open banking and big data were all big areas of impact to the RegTech space that the firms have taken notice of. With large financial institutions having vast amounts of data, combined with a lack of useable information, artificial intelligence and machine learning has the chance to deliver actionable and preventative insights in RegTech. Dawn Capital is currently seeing this use of AI and automation as the most attractive aspect in RegTech. The development of a robo-regulator technology was also mentioned by Plotnikova. These solutions would enable policy makers to access larger data sets, and be able to predict the impact of new regulations as well as test them out. While Michael Meyer believes the market is still too young for him to begin investing in, the idea of robo-regulators is something that has peaked RegTech Lab’s interest as a potential driver in the space. The firm is sees the RegTech space evolving in coming years by more venture capital firms starting to move away from the sector and masses of companies dropping off or failing to get traction. This is not a negative outlook, but the way the market will naturally have to go and once in this phase stronger companies will arise and push through the challenges. This is the point when Meyer will look to make investments. A trend that Motive Partners client partner Ash Bhatia has seen is the upswing regulations like PSD2 and GDPR are having in the wider market. Financial institutions from countries outside Europe, such as in Latin America, Asia and Africa, have been showing an increased interest into the idea of open banking. He said that there are a lot of discussions around how some of the players in these areas can become regional leaders and adopt an open banking style of technology.